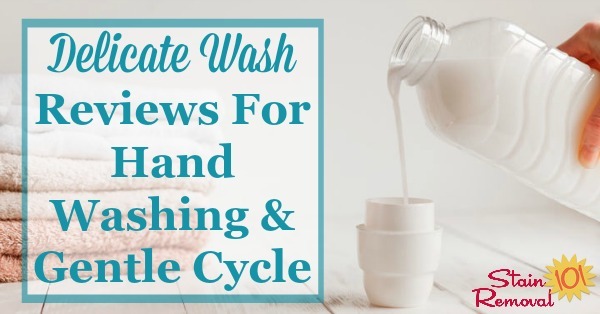 Here is a list of delicate wash products available for hand washing clothing, or for use in the gentle cycle of your washing machine, along with reviews and recommendations to decide which one you should use for yourself. There are a lot of products on the market which you can choose from, and sometimes the choices can be overwhelming. Therefore, in this article I've listed many of the major brands of products on the market, with just a little information about them where available to help you choose the best one for you. Where possible, I've also linked to reviews here on the site from other readers (or myself) where we've shared our opinions and experiences about various products, sharing how it worked for us. I know I appreciate reading other people's opinions about products when I'm looking for something new to use. Finally, before I begin with the list, I have tried, where possible to provide links to where you can purchase these products online. To do so just click on the image link of the product you're interested in. These are affiliate links, which means if you purchase a product through them it doesn't cost you anything additional, but I do receive compensation from the company. Here's the list of what is currently available on the market. I have tried to note which products are eco-friendly, and also which ones are hypoallergenic for those needing or wanting to have those additional requirements as well. Caldrea is a company that sells high-end aromatherapeutic products for the home, and also for personal use. My understanding is that it is a sister company to Mrs. Meyers, and it also uses essential oils within their products. Further, they use plant-derived ingredients, making it more eco-friendly. The brand used to have several scents of this laundry product but now they only have one scent still available, called Sea Salt Neroli. It is safe for use on washable wool, cashmere, nylon, silk and linen. 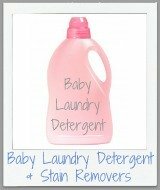 It can be used in both the washing machine or for hand washing. 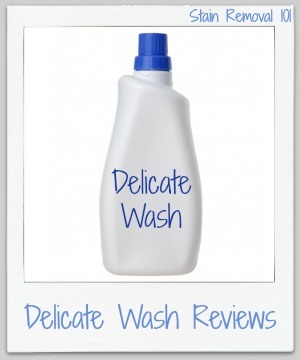 I've got a Caldrea delicate wash review here which is quite positive. It is for the French Lavender scent, although that scent is no longer available, but the formula is still the same as far as I know. This is a brand I haven't heard much about, but recently saw it advertised on Arm & Hammer's website, meaning that it is manufactured by Church & Dwight, the manufacturers of this better known brand. It has a fresh scent, and is safe for use in HE machines. I would love to hear reviews of this product if someone has used it (plus tell me what stores you can find it in, since I'm having trouble identifying any.) You can share your review here. Earth Friendly Products makes several laundry products, some of which go by the brand name ECOS. You can learn more about ECOS laundry detergent here. It is a natural laundry product. This gentle laundry soap has a chamomile and lavender scent, and is dye and enzyme free. It is also HE compatible. I don't yet have any reviews of this brand, so if you're tried it you can share your review here. Ecover is another natural and eco-friendly brand, and its product is scented lavender, while another is Spring Tulip scent. It is safe for washable fine fabrics, silks and wool. It is HE compatible, and can also be used for hand washing. 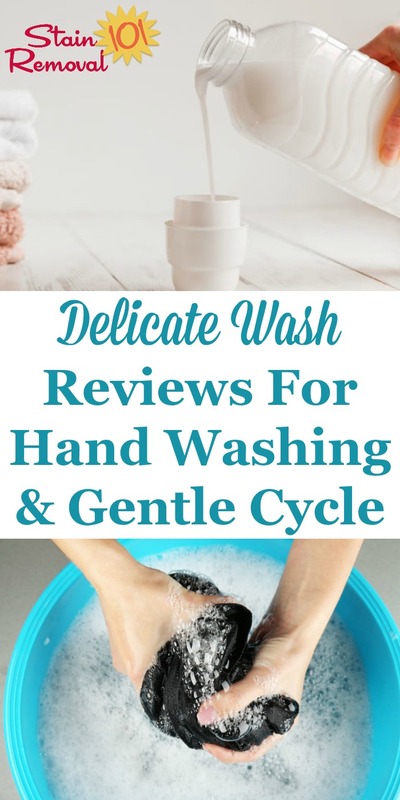 I do not currently have any reviews of this product, so if you've used it I'd love for you to click here to share your review here. Many people don't want to spend a lot of money to wash their fine washables, so they use a generic or store brand. There is nothing wrong with that -- in fact, I personally used a store brand for years before they stopped making it. I've gotten a review of Dollar General's store brand here. If you've used one of these brands I'd love for you to share your review here. Grab Green is yet another natural laundry product (and cleaning product) brand. Are you sensing a trend here? I am. The unusual thing about this brand is that instead of having a liquid product in a bottle they've packaged their delicate laundry detergent into laundry detergent pacs. Unlike many other brands, which have some kind of scent in them this one is fragrance free, and hypoallergenic. It is also dye free, and HE compatible. I don't have any reviews of this product, so if you've used it please submit your review here. I will note it has a LOT of reviews on Amazon, many of them positive (currently a 4 star rating with over 900 reviews, at the time of this writing). Ivory Snow is a very commonly found brand of delicate wash, and is probably one of the top brands on the market, along with Woolite. It is readily found in stores, unlike some of these other brands mentioned on this page. 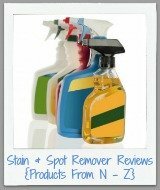 It leaves behind a light scent, and reader reviews have stated that it fights stains quite well. It comes in both liquid and powdered versions. I've got lots of positive reviews of this brand (including my own). You can check out all the Ivory Snow reviews here. 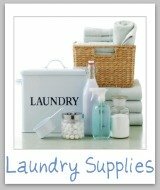 The Laundress is a high-end laundry product company, based out of New York. They actually have two different products for washing delicates. The first, on the left, is the delicate wash which is made to use delicates and lingerie made of silk, silk blends, lycra, spandex, rayon, nylon and acetate, for example. It does contain enzymes, unlike some other products used for fine washables. However, this may help it remove perspiration, body oils and stains. It has a light scent. In addition, as shown on the right, is the Wool and Cashmere Shampoo, which has a cedar scent. It is designed to be used on wool, merino, cashmere, angora, mohair and down. Both the delicate wash and wool shampoo are HE compatible, and can be used in the washing machine, but the company highly suggests that all items be washed with them by hand. I don't have any reviews of these products, so if you've used one of them please share your review with me here. Planet is also a relatively new company which has a small line of green laundry and cleaning products. Their version is unscented and dye free, and is designed to be used for cool or cold water washes. It can be used on silk, wool and cashmere, and the company also suggests it is appropriate for washing outdoor gear (such as tents, sleeping bags, etc.) plus active wear. I don't have any reviews of this product, so please share your review with me here. Last but not least, perhaps the most readily recognized brand for washing your fine washables is Woolite. You can learn more about Woolite detergents here. Technically, there is a product made just for delicates, with the pink top (see picture to the left). You can read Woolite delicate fabric wash reviews here. This really begs the question of why there is one specifically for fine washables, if they can all be used in this manner. These products all have a light scent. They are often the most easily to find in stores. Although I've gotten some reviews already, I always like to hear from more people sharing their experiences and opinions about products. If you've used a product listed above, or something else for washing lingerie or other fabrics gently please click here to share your review with me, so I can add it to the site!